I'm a big fan of standup comedy, but there's a lot of so-so stuff out there. 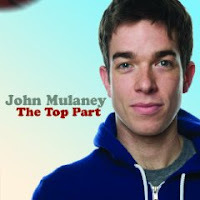 But then there's Mulaney, an up-and-coming young comic. His CD is laugh-out-loud funny. Worth buying (or downloading) and repeat listens. From Amazon.